My dream was to create a fun and inviting space, entirely free of charge, where children with special needs could have a great time and interact with one another, with the help of devoted professional volunteers; a space that would also provide support, awareness and information to the families, and which would, hopefully, grow and inspire others. There are many great parents in our practice who contribute in various and helpful ways to addressing the autism epidemic. Some volunteer at their school, others provide professional services for developmentally challenged children, and some donate their time and resources to the community. The Autism Society – Broward is one great example. Through local efforts, the organization helps raise money (Dan Marino Walkabout for Autism), sponsor surfing and golfing events, provide yoga classes, a monthly lecure series, and as a clearing house for ASD problems in our community. The all-volunteer Board of Directors makes sure that all monies are directed to actually help our ASD community, through education, participation and fund-raising efforts. It is the most hands-on and friendly Board that I have had the pleasure to assist, and I have served on many Boards of Directors throughout my pediatric career. 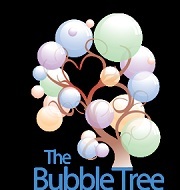 Taking the desire to address the Autism Epidemic to a whole new level is The Bubble Tree, in Palm Beach Gardens, Florida. It was founded by a grateful parent who wished to give back to the community by providing a safe place for all children to come and play. In a magical setting, kids have the chance to play, get therapy and socialize. Special classes, such as art, are even provided on a regular basis. No fee is charged for this unique haven, with a suggestion/donation box as the sole evidence that such a resource does require monetary assistance for continued survival. In addition to providing such a wonderful indoor play area, The Child Development Center of America has been allowed to offer our medical services to patients who would not otherwise be able to travel to Weston, where our main office is located. Since, June, 2012, I have been taking a staff member and some equipment twice a month to visit with a different set of parents than that who makes the other trip. We have been able to help patients who have never been exposed to biomedical intervention and many who have visited several conventional clinicians without getting real improvement in their child’s condition. Given the need for such an amazing resource, a surprising challenge for The Bubble Tree has been the need to raise awareness for community support and volunteers. It seems that, at the end of a busy school day, many children go to aftercare, therapy(s), or tutoring classes. After dinner, homework is the major chore and before you know it, it is bedtime so the day is completed and there was never time to get to play. The Bubble Tree is open Monday through Friday, so families who are concerned that there aren’t any parks or recreation should make time to find their way there. The website provides plenty of information about the activities and even provides a scheduling program to streamline services. My advice to locals – don’t let such a fabulous opportunity to help your children languish. Visit the website and take your chldren to the funhouse. You won’t be disappointed. Well, it was built but the population didn’t come. Too many other things to do, I guess. So, our last clinic will be in June and we hope to see you in Davie. Thanks for all the great work that the Bubble Tree owners tried to get going. It hasn’t gone unnoticed. This entry was posted on Tuesday, February 12th, 2013 at 5:22 am	and is filed under >ALL<, Alternative and Complementary Medicine for ASD, Earliest Red Flags, Patient experiences. You can follow any responses to this entry through the RSS 2.0 feed. You can leave a response, or trackback from your own site. That looks great!…I guess my only concern is after seeing the pictures in their website I saw children playing with Play-Doh?!! (hello gluten!). Just really surprised if this is dedicated to children that are possibly in the GF/DF diet. Well, the children are supposed to be supervised, so it’s up to the caretakers to watch what the children are getting. It’s a dangerous world out there. wow , what a wonderful place , l wish Australia was that giving , a place kids can truly be themselves and with minimal costs to parents , in Australia we still have such a long way to go towards understanding. So sorry you are closed. Just found this site. Do you still offfer biomedial help? We have a beautiful 8year old daugther on spectrim who has a lot of GI problems.